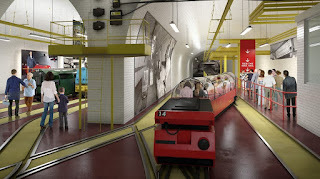 A RAILWAY that ran for 76 years beneath the streets of London, twenty hours a day, seven days a week, is planned to become a major new tourist attraction for train buffs and the simply curios – even though it never carried a single passenger during a working lifetime that ended a dozen years ago. With its own tunnels separate to London's famous Tube, this railway was the brainchild of the Post Office to move mail between Whitechapel, in the city's East End, and Paddington 10.5km away in the west, doing so much more speedily than it could along the already hopelessly congested city streets. 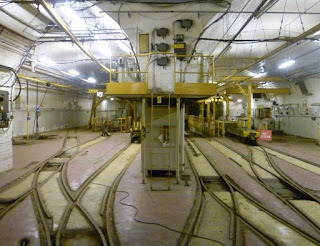 First mooted in the latter part of the 1800s, construction of the Post Office Railway – soon known simply as the Mail Rail – began in February of 1915, with its narrow 2.7m diameter tunnels being dug 21 metres below street level and lined with pre-assembled iron tubes. Two tracks, one running east and one west, were then to be laid inside these, but with a shortage of manpower and materials due to the First World War, work stopped in 1917 just two years after commencement, and it was to be another seven before it was to resume. 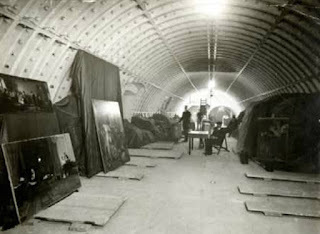 But during this pause the tunnels were still able to be put to good use: the British Museum and the Tate and National Portrait Galleries used them to store irreplaceable treasures they feared could be lost in German bombing raids. Finally in early December 1927 the line was opened for the world's first driverless electric trains, initially carrying Christmas-rush parcels only, and from February 1928 letters as well. And stations along the line – at Bird and Wimpole Streets and Rathbone Place in the west, New Oxford Street, Mount Pleasant in Islington for the principal Mail Sorting Centre, and then King Edward and Liverpool Streets in the East – were shallower than the main part of the line, so there was less distance for parcels and mailbags to be lifted to street-level. As well, 1-in-20 gradients into and out of these stations assisted in slowing the remotely-controlled driverless trains on arrival, and in speeding them away on departure. 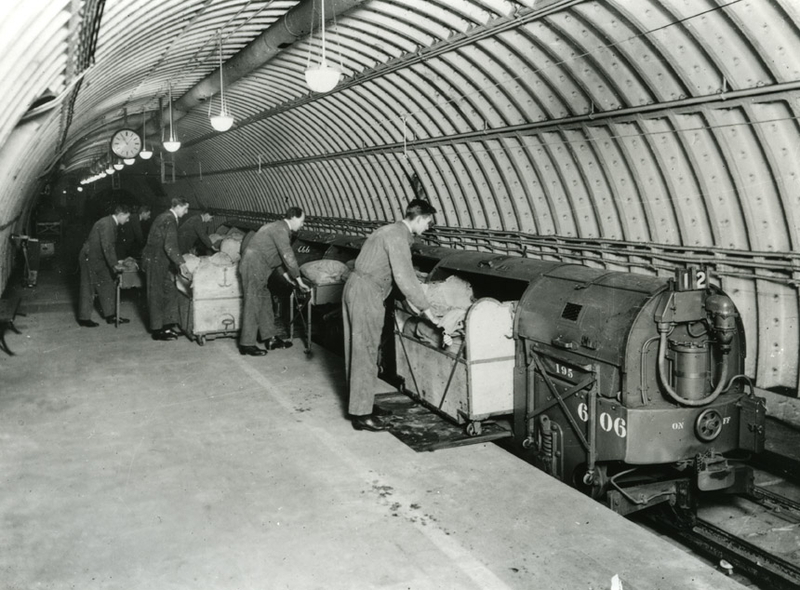 At the height of their service the little Mail Rail trains and the 220 staff who worked in the tunnels with them shifted 12-million parcels and letters a day… 84,000,000 a week, 4-billion a year, with some 70 of the driverless trains rattling along the narrow gauge (610mm) tracks at speeds of up to 35kph. 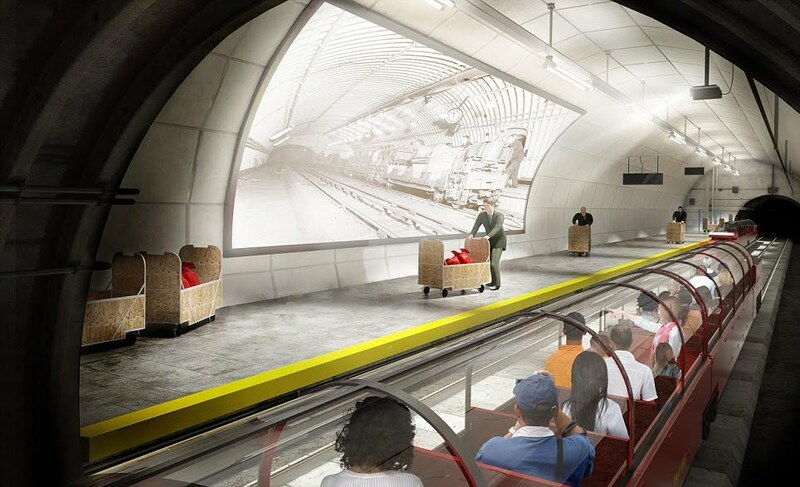 And in 1991 the tunnels and a train were mocked-up to represent a fictional railway beneath The Vatican in the Bruce Willis movie, "Hudson Hawk." Then in early 2003 the Post Office abruptly announced the end of the Mail Rail, saying it was five times more costly to maintain the service than to use road transport, and on May 31 2003 the trains made their last runs after 76 years. A small staff was retained both to maintain the tunnels for safety reasons and to act in a security role stopping would-be vandals, graffiti sprayers and others trying to get into the tunnels, and the trains simply left where they'd made their last runs. Train buffs, however, never gave up on bombarding London's Islington Council with a constant flow of ideas to get the little Mail Rail running again, and finally it gave recent approval for a 5-million-pounds (AU$9.8m) redevelopment of the Mount Pleasant station and mail sorting centre, that will include a Postal Museum to open in 2016, and a kilometre of original Mail Rail track to be restored to carry tourists from 2020. Those tourists will ride in converted original mail wagons that will be fitted with seats and roofs – the latter for safety reasons – and will hear the history of the Mail Rail as they travel through the kilometre of re-opened narrow tunnels. And the Museum to be developed by the British Postal Museum and Archive will feature 400 years of Britain's mail services history. Amongst highlights will include original telegrams from the Titanic, pistols used in 19th century stage-coach robberies, court evidence from The Great Train Robbery, mail service photos and posters and historic pillar boxes in various shapes and sizes. And for philatelists, a priceless stamp collection to drool over. parcels and letters a year. history with platform displays and historic photos projected onto station walls.